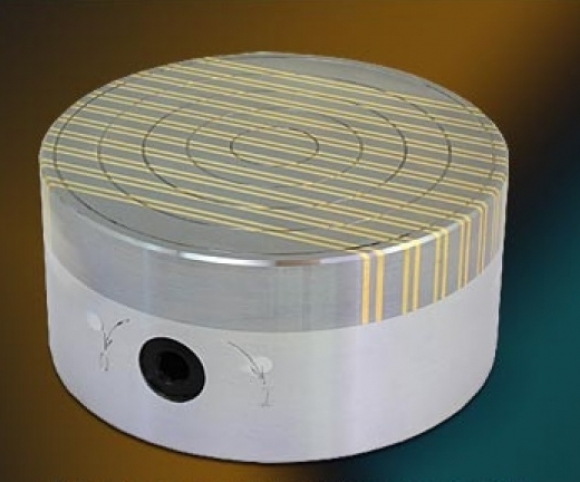 Permanent magnets type RF, with ceramic magnet and fine pole are being used for clamping thin and small workpieces, in particular for grinding and turning of thin discs and washers. Incorporated into the surface of the centering grooves facilitate aligning the workpiece. Furthermore a central aligning hole can be made into the surface. Precise fine pole plate for thin slices.